Hydroderm is an advanced anti-aging, anti-wrinkle skin care product that is made of a special blend of marine collagen and Vyo-Serum. Because of this and our special patented technology, Hydroderm stands above all other collagen-based beauty products available on the market. 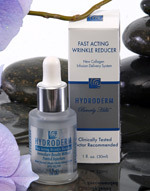 Some even refer to Hydroderm as a "facelift in a bottle". 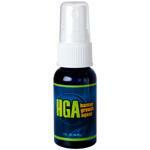 HGA Spray has been designed to help your body naturally increase it's own levels of HGH. HGH can assist you in weightloss and muscle gain, it can increase your energy level and may also help assist with sexual performance and endurance. If you are interested in a natural way to combat the aging process in an easy, convenient and affordable way, then HGA Spray may be just what you're looking for. HGA Human Growth Agent is a revolutionary formula designed to naturally combat the aging process in your body. HGA is a chemical produced in the pituitary gland of the brain. As we get older our body produces less amounts of HGH over time. Human Growth Agent is designed to help your body naturally increase it's own levels of HGA. Increased levels of HGA can assist in weightloss and muscle gain, it can increase your energy level and may assist sexual performance and endurance. If you are interested in naturally combating the aging process in an easy, convenient and affordable way, then Human Growth Agent Spray may be just what you're looking for. Youth Factor helps you look younger in just 4 weeks with a remarkable breakthrough in skin care technology. The Youth Factor system firms, strengthens and regenerates thinning, sagging skin, increases circulation and hydration, and progressively revitalizes skin with a youthful glow. Youth Factor diminishes the visible signs of aging by safely building collagen under your skin while relaxing your facial areas to prevent frowning and deep lines. 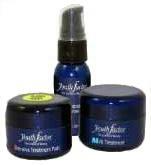 The Youth Factor Skin Care System is a scientifically advanced breakthrough in beauty. With the YOUTH FACTOR Complete System you'll notice your skin looks and feels soft and supple, giving the illusion of flawless-looking skin.